As you learn to play the piano there are some musical symbols that you will need to be aware of. 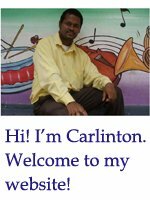 At first you may find information about musical notes and rest to be very interesting. You may even learn about symbols such as sharp, flat and natural, and where they are located on the piano or keyboard. But as you learn to play the piano, you will be introduced to other symbols that you will learn to use during the long run especially if you want to read sheet music. But what is dynamics and what is tempo? Well let us take a look at dynamics first. Have you every listen to Beethoven’s Fifth Symphony? Beethoven’s Fifth Symphony is a perfect example to use when explaining dynamics. At the beginning of this piece of music the dynamic can be described as very loud. However, by bar five the dynamics changes suddenly to soft. This type of dynamic behaviour can be heard at several phrases of the piece as it progresses. So, what is meant be the term dynamics? Dynamics as to with the softness and loudness of sounds heard in music. Now let us take a look at the term “Tempo”. The meaning of the term tempo is easy to figure out and is easily remembered. Tempo is how fast or slow the beat of the music is. Michael Jackson’s song “Billy Jeans” has a faster tempo than R. Kelly’s song “I believe I Can Fly”. The terms and signs used for dynamics and tempo are musical symbols that have an effect on how notes and rests are played in music. Below are some basic dynamic signs that all piano players should know. The meaning for each sign is also given. 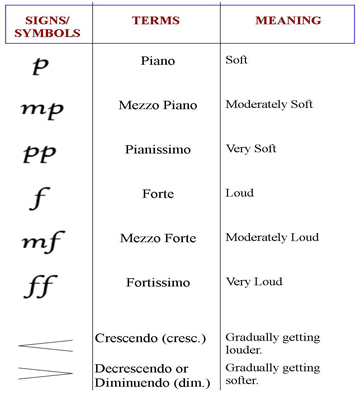 There are also some musical terms and symbols relating to tempo that all pianist should be aware of. 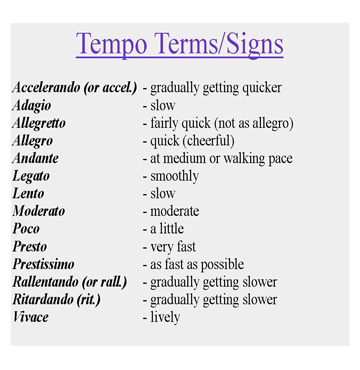 Here are some of the popular tempo terms and signs that are used very often on sheet music. Leave the musical symbols page and return to home page.